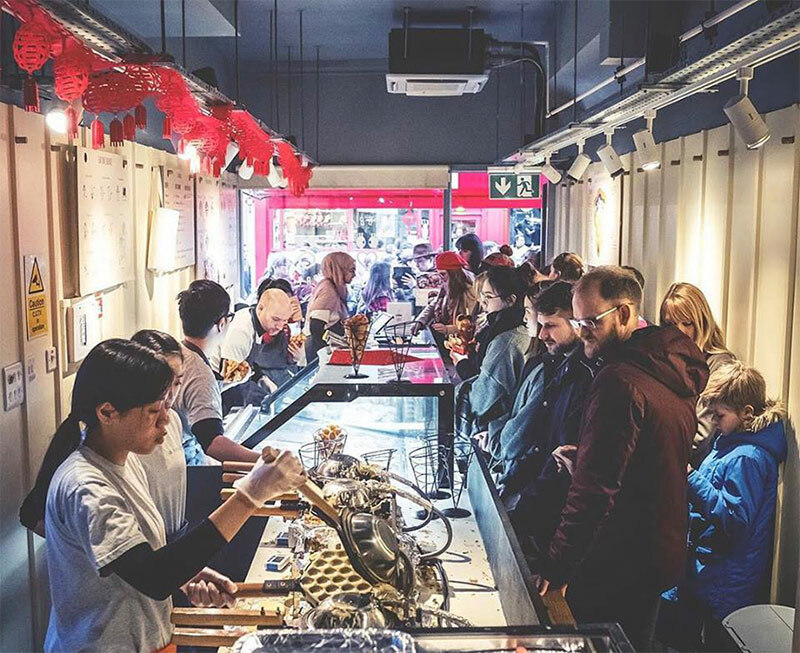 One of Chinatown London’s runaway success stories, Bubblewrap’s Hong Kong egg waffles have taken the Capital by storm. Here’s why. With queues zig-zagging along Wardour street, Bubblewrap has become one of Chinatown’s biggest success stories. 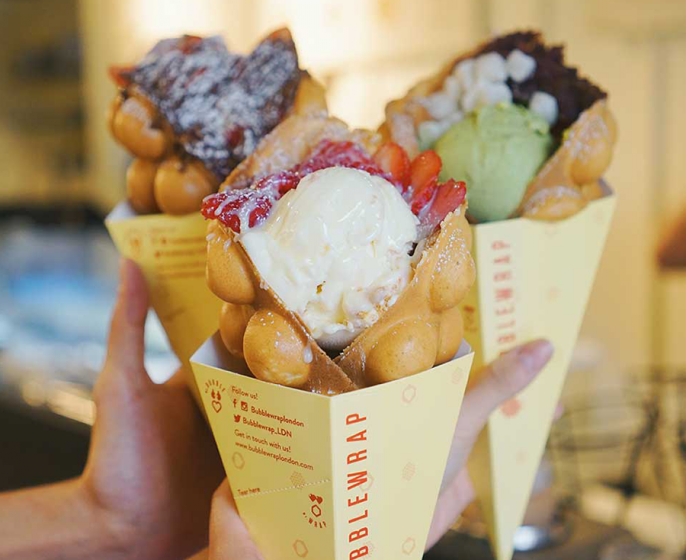 The waffle emporium quickly captured the street food zeitgeist with their ultra-Instagrammable Hong Kong-style waffle cones. Cue mass hysteria amongst sweet-toothed millennials. 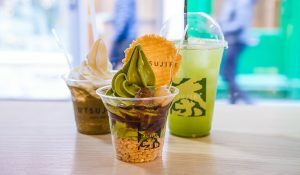 Such is Bubblewrap’s influence, they’ve paved the way for new dessert bars on the block like Roro, Tsujuri and Guo C 100. So, what’s all the fuss about? 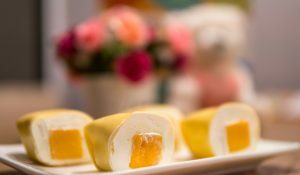 This oh-so pretty and utterly delicious treat is a 21st century remix of the classic Cantonese street food staple, the egg waffle. 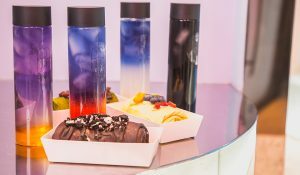 The bobbly, spherical waffles, available in matcha and chocolate flavours, fold into a cone shape encasing creamy gelato, fresh fruits, Oreos and oozy-gooey sauces. It’s hard to imagine for the founders, Tong Fang and Sunny Wu that what began as a university project would become the Chinatown-conquering pudding palace it is today. 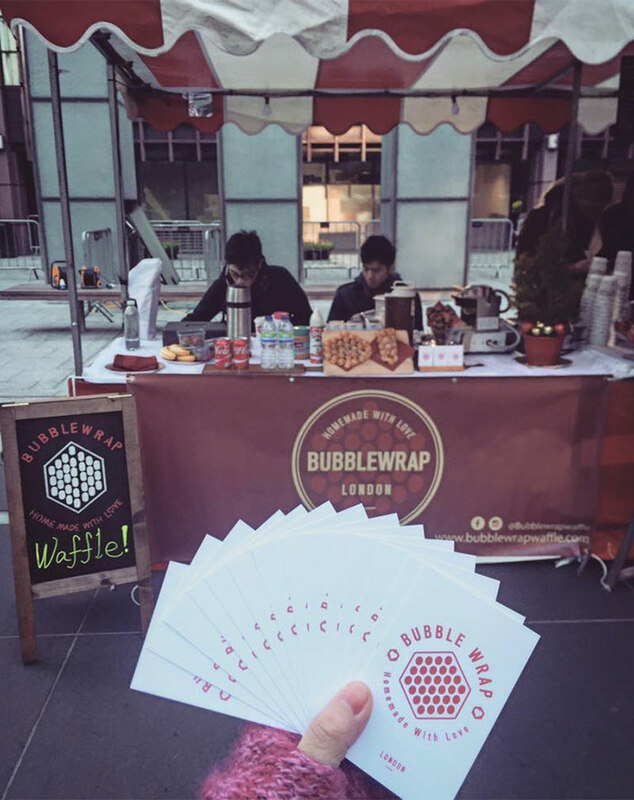 Conceived as a business idea at Imperial Business School, Bubblewrap was rolled out as a concept with pop-ups on weekend markets across London. Their wonder waffles won devoted fans and it was only a matter of time before the pair secured their Chinatown site in spring 2017. 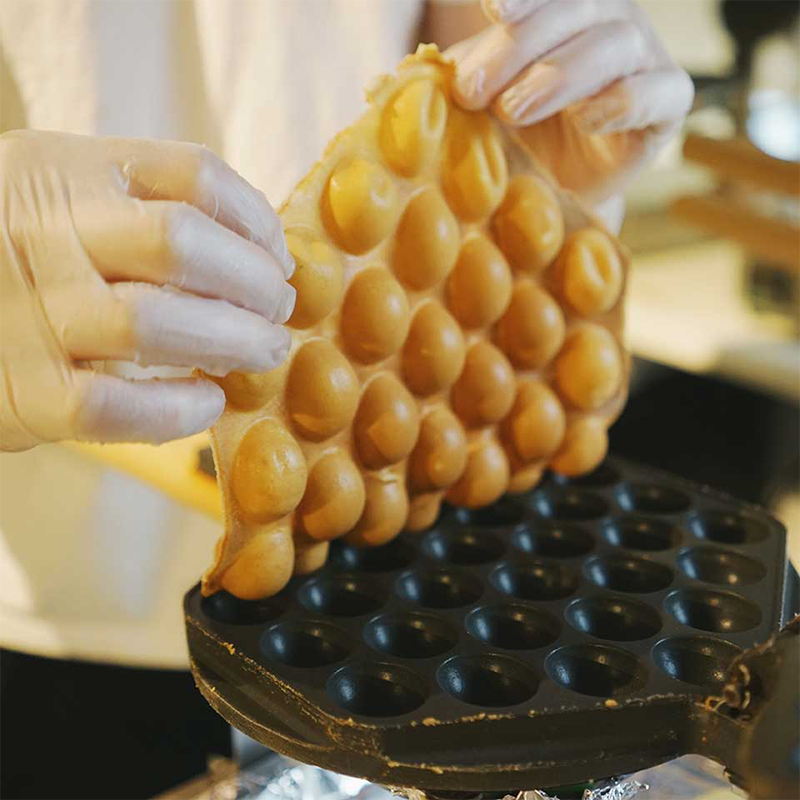 Step into the store and with a wealth of ingredients at your fingertips, allowing you to pimp your waffle to a perfectly personal snack. There’s hazelnut, vanilla and strawberry cheesecake gelato,Nutella and salted caramel to slather on top and fruit and nuts to complete your finished Bubblewrap. Those of a savoury persuasion will love the salt and pepper egg with avocado wrap! So where did the egg waffle pop up? 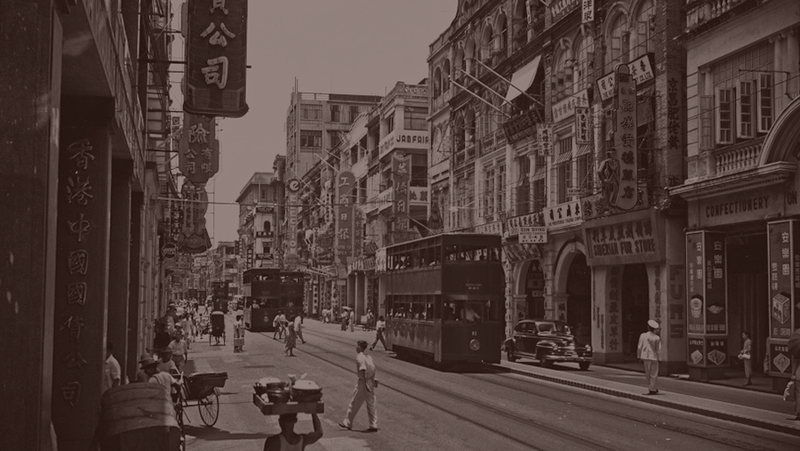 Back in 1950s Hong Kong, savvy street traders came up with the genius concept of saving broken eggs that couldn’t be sold to customers by blending them with milk and flour. The iconic waffle-iron with round indentations turned this batter into tasty waffles. The spherical pockets of batter add bite and texture to the snack. With a loving nod to the dish’s Cantonese past, Tony and Sunny’s modern day egg waffle interpretation has brought it bang up to date with fresh modern ingredients and plenty of fun. Get in on the Bubblewrap action today!